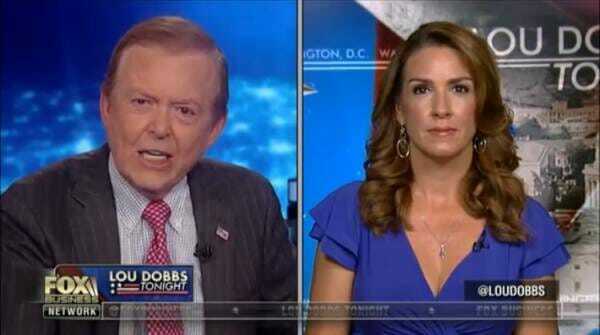 Investigative reporter Sara Carter told Lou Dobbs Wednesday evening that sources told her the DOJ and FBI will defy President Trump’s declassification order and deliver the Carter Page FISA docs and other records related to the Russia probe to the White House next week WITH REDACTIONS. On Monday, President Trump went scorched earth and ordered an immediate declassification of Carter Page FISA docs. Trump also ordered the DOJ to publicly release all text messages WITHOUT REDACTION relating to the Russia investigation from James Comey, Andrew McCabe, Bruce Ohr, Lisa Page and Peter Strzok. The Democrats lost their collective minds over President Trump’s declassification order and immediately got to work to undermine his authority. Sara Carter says the FBI and DOJ are colluding to defy the President of the United States. “I’ve been told by sources that the documents will be turned over to the President next week. I hear that the FBI and the DOJ are redacting,” Sara Carter said. “What they’re gonna do is turn those documents over to the President and what they’re going to say is ‘now it’s up to you to declass’–I think they are going to figure ways to stall or maybe put pressure on the President,” Sara Carter continued. Sara Carter explained that she spoke with multiple sources with top secret clearance who have reviewed the Carter Page FISA docs and there is nothing that will violate national security or give away sources and methods. Attorney Gregg Jarrett said in a FOX News op-ed that if DAG Rosenstein and FBI Director Christopher Wray defy the President’s order and continue to obstruct lawful subpoenas, they should both be fired for rank insubordination.